I was working on a piece this weekend that I have to share. It’s a great story to commemorate the Martin Luther King holiday, and there’s still time to take advantage of an inspiring program called “Selma for Students,” in cities all across the country. I’m working today, but Wilson is taking the kids to see ‘Selma,’ thanks to some amazing business leaders who had an idea “that had legs,” as one of them told me. It’s rare that a good idea discussed over dinner with friends actually turns into something big, and raising more than two million bucks in less than 2 weeks because you believe in educating our youth is pretty special. Many students across the country will mark Dr. Martin Luther King Jr.’s birthday this year in a more meaningful way than just enjoying a day off from school. That’s the goal of Paramount Pictures and scores of African-American business leaders who have sponsored free screenings for students in select cities of the new movie, ”Selma,” about King’s 1965 civil rights march. It all started at a dinner party on New Year’s Eve, when a group of prominent African-American executives were discussing the historical significance of “Selma,” and how important it is for young people to see the story come alive on-screen. Soon dinner table chatter became a movement and within a week, 27 business executives created a fund to allow some 27,000 middle school and high school freshman students in New York City to see the film for free at participating theaters starting January 8. Seventh, 8th and 9th grade students were required to show a school ID or a report card to receive a free ticket. When the New York theaters sold out quickly in the first weekend, and the fund continued to grow as news of the program spread, the leaders expanded it to 75,000 tickets. Then Paramount and the executive sponsors began to think bigger. By Sunday night (Jan 18,) the Selma For Students efforts had raised $2.1 million and distributed at least 285,000 free tickets in 24 cities– from Nashville to San Francisco. “There’s a common identity with this cause and this history and everyone wanted to touch it. It’s been an incredible outpouring of support,” one of the business leaders, Fred Terrell, told FoxNews.com. “It’s something I’ve never seen, it’s been so infectious, and it gives you a sense there’s a cohesive quality to the African-American business community. They want to be part of educating our youth and telling that story to young people,” Terrell, Vice Chairman at Credit Suisse, said. Executives leading the “Selma” for Students charge hail from many companies representing finance, law, and media—including American Express, Citigroup, Goldman Sachs, BET Networks, and Essence Magazine. As school, church, and youth groups gobble up available tickets, organizations in many communities nationwide have coordinated campaigns to find more African-American business leaders to underwrite more free tickets to keep the movement going. 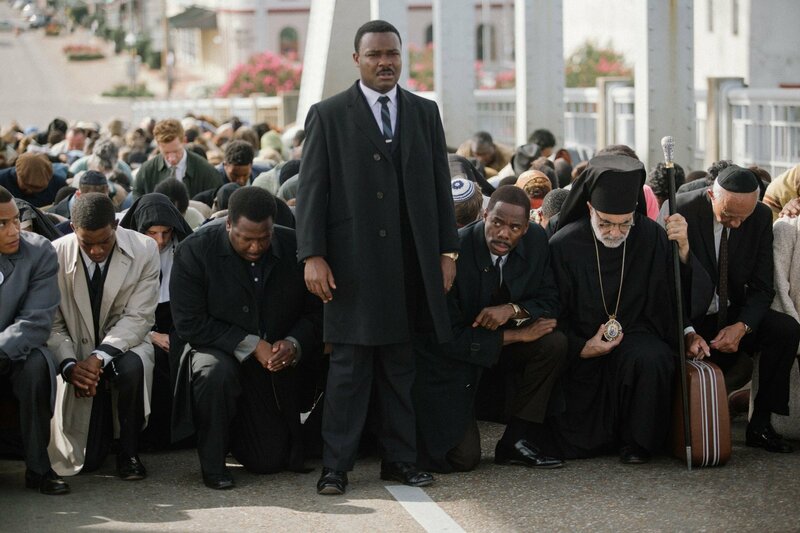 “Selma” details the events surrounding Dr. King’s march from Selma, Alabama to Montgomery, which resulted in one of the most powerful victories in the civil rights movement–President Lyndon Johnson signing the Voting Rights Act of 1965. Despite brutal opposition, King and his non-violent supporters made history as they courageously fought for change. It was an epic moment the program sponsors wanted today’s youth to understand. “It would be a shame for such a great a historical vehicle to be in the marketplace and not get the opportunity to have a community meeting around it. The story is as relevant today as it was in 1965,” Terrell said. “It’s a great opportunity to learn more about my history,” Joshua Phillips, 12, a student at Forest Street Elementary School in Orange, New Jersey said at a recent “Selma” screening with his classmates. Several institutions in New York City and other communities are supporting the project by hosting viewings and discussions. Participating students are encouraged to share their thoughts on the film and photos of their experience on social media, using the hash tag #SelmaForStudents. “We don’t get out like this so much so it’s something different for the students to experience, seeing an educational movie while having fun at the same time,” said Amanda Sherwood, 13, of Orange, New Jersey. Terrell and many of the business leaders involved were pleasantly surprised by the overwhelming enthusiasm for the program and how rapidly it all came together. “The kids will know that there are African-Americans who cared about their education, who found a special connection between this movie and their own lives, and wanted to pay it forward,” he said. “Selma” — directed by Ava DuVernay– stars David Oyelow as Dr. King, and includes actors Tom Wilkinson as President Johnson, Cuba Gooding Jr., rapper Common, and Oprah Winfrey. “Selma” won a Golden Globe for Best Original Song and has been nominated for an Oscar for Best Original Song and Best Picture. “The police officers beating the peaceful protestors had the biggest impact on me. People have to understand the struggle African-Americans had to go through to vote. We take it for granted,” said Antonio Green, 13, who saw the movie twice this week in South Orange, New Jersey. 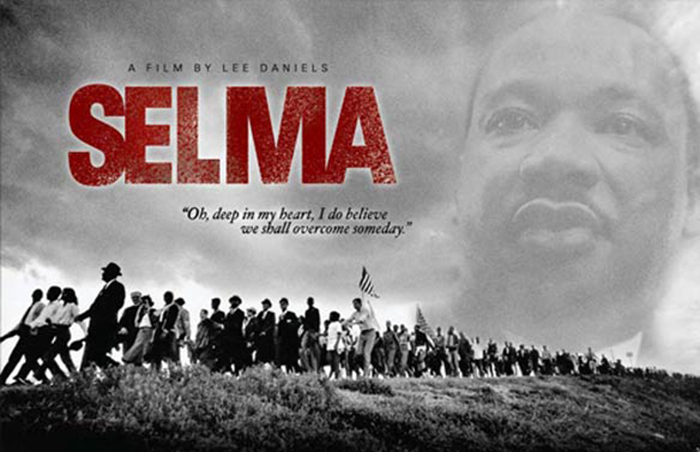 The free “Selma” tickets are available for students, while supplies last, through the Dr. Martin Luther King Jr. holiday, January 19. Did you take advantage of this amazing offer? What did you think of the movie? Tell me in the comments.